Eddie Brock is Back This May In The Oversized VENOM #150! New York, NY—February 21st, 2017 — Reunited, and it feels so good! Or, is it bad? Either way you swing it, Eddie Brock is back, and he’s bonding with the symbiote once more ahead of the can’t-miss VENOM #150 – the oversized anniversary spectacular coming this May! 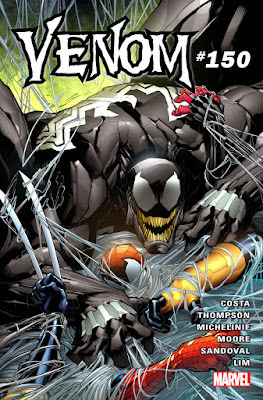 Series writer Mike Costa is joined by superstar guest artist Tradd Moore for an oversized main story featuring Eddie’s return to the pages of Venom. Bonded together again, Eddie and the symbiote are web-slinging their way across New York City. But, is their relationship as harmonious as it once was? Or is their bond more sinister than ever? But that’s not all! 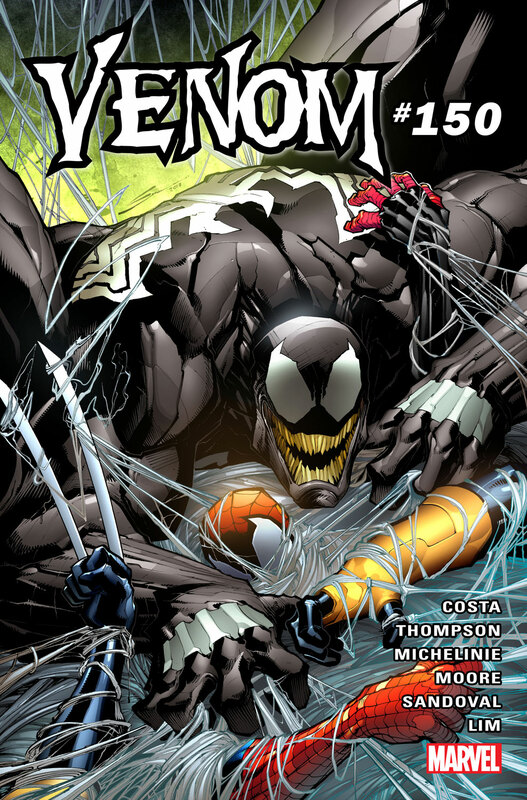 In addition to a brutal main feature from Costa & Moore, VENOM #150 features the return of iconic past Venom creators! First up, secrets will be revealed! How did Flash Thompson come to lose the symbiote before it found its way to former Army Ranger Lee Price? 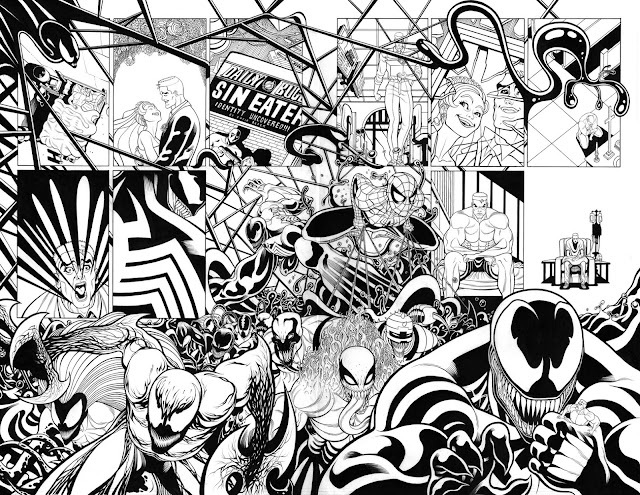 The Venom: Space Knight creative team of Robbie Thompson and Gerardo Sandoval have the answers! Then, it’s back to the mean streets of San Francisco as fan-favorite creators David Michelinie and Ron Lim present a tale set between the pages of their iconic Venom: Lethal Protector series! It’s all happening this May as a parade of Venom creators past and present bring you the must-read VENOM #150 – on sale digitally and wherever comics are sold!